The garden has a host of wildlife. The cabin was built in 2014. This delightful property is set in one acre of beautiful gardens with a summer house and a large pond. The Cabin has one double bedroom & also a sofa bed in the lounge area. It also has a shower room, kitchenette / dining area / lounge. The property is very well equipped. 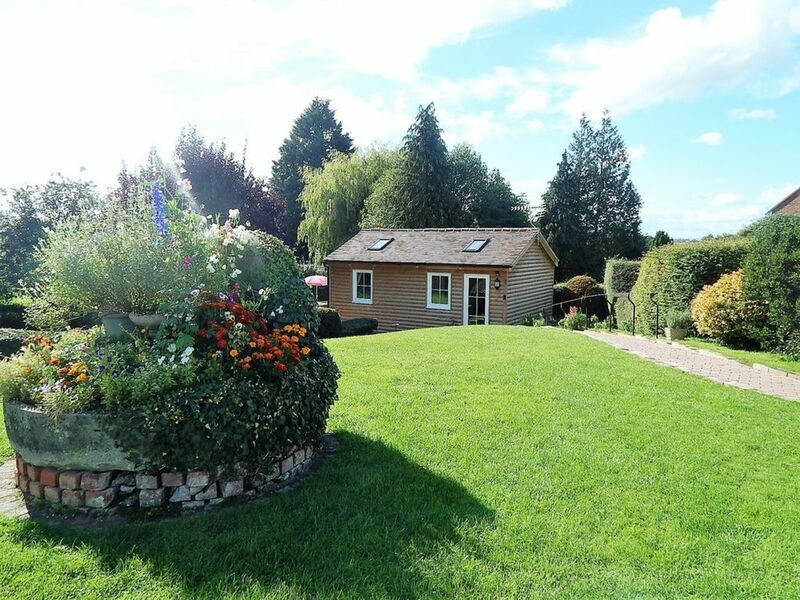 Set amid charming countryside within easy reach of the Forest of dean, Symonds Yat, Cheltenham, Gloucester, The Cotswolds, Malvern & Hartpury College, Close to numerous attractions. Excellent base for touring, fishing, cycling and walking. Please see phots & reviews. Owners Clive & Kaeren have lived in the area all of their lives. Please see photos & reviews. Thank you so much for taking the time to post this review. We’re glad you had a good break. It was great to meet you both. Heel mooie logcabine met mooie tuin waarin veel diertjes zitten.